Hey everyone! 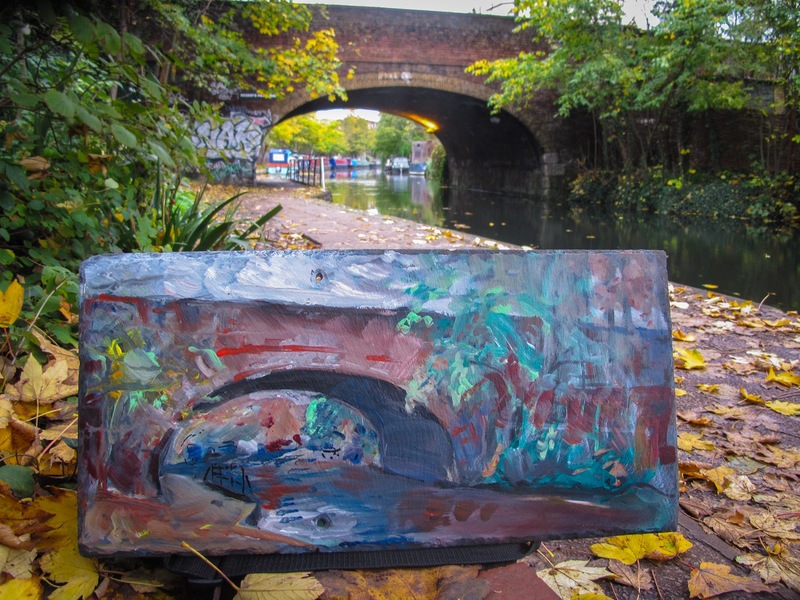 I'm very excited to announce that I've done my first Lost Art piece in London! I've been up here the past couple of weeks, helping some friends build installations to decorate their new apartment, and I haven't had much time for painting, but I finally found a moment. And since I've been hanging around a construction site, there's plenty of trash to be found :). I grabbed this piece of slate out of a discard pile and snuck off with it down to the canal behind the apartment I'm staying in. It was a nice, quiet moment in a big crazy city. And here it finally is! The London debut of Lost Art! I hope I get to hear from the person who goes for a walk along the canal and finds this. And I hope I get to come back and lose lots more art in London over the months to come. It will be easier now that I have some friends living up here! I had a great time while I was here and I'll definitely be looking forward to my next visit. For now, though, I'm back in Paris this weekend. Hopefully with enough time to lose something there before I head back to the States again in a few weeks. Lots of running around! I can barely keep up with myself! Stay tuned, and I'll do my best to leave some art lying around wherever I go. Until next time! 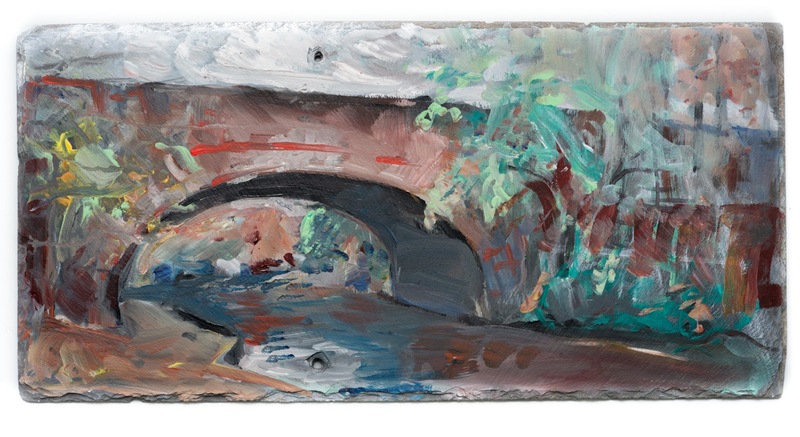 This painting, arylic on found roofing slate, 51cm x 25cm, was left on the Regent's Canal, in London on November 6th, 2015 at 8am.